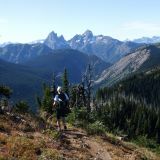 Most scenic ultra race in Canada. Join us for a challenging point to point race that straddles 3 stunning provincial parks in British Columbia, Canada in the Cascade Mountains. Just short of Everest for elevation gain; Fat Dog 120 mile is 8682 metres, Everest is 8848 metres. April 9: some campsites can be reserved now! We are working on an alternative route in case the Skagit is not ready this year. Stay tuned. UTMB allows 6 points for 120 mile event. 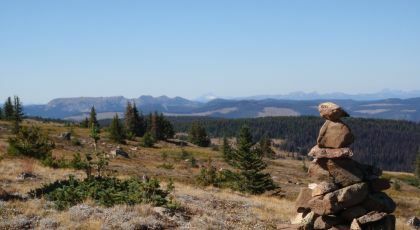 Trail Runner Magazine suggests Fat Dog 120 if you didn't make Hardrock or Western States! Whether in your neighbourhood or our parks, your participation is significant in helping maintain trails. Add this to your training program! See the Trail Work page. Not only is this race just short of Everest, it is also considered one of the world's 9 toughest ultramarathons by Outside Online. See About details.